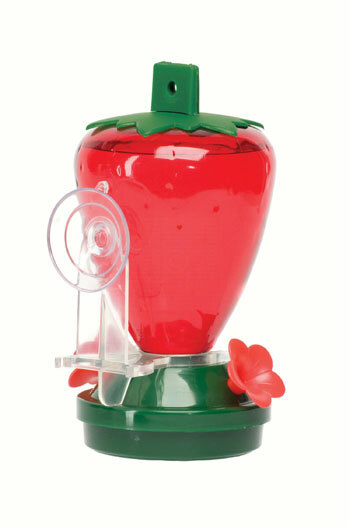 Strawberry Window Hummingbird Feeder.Includes suction cup window mount. Includes suction cup window mount. 6-1/8 in x 4 x6-1/2 in.